Ambassador Andreyev deplored the desecration of the Red Army cemetery, but what really aroused controversy in the Polish foreign ministry were his comments about Poland’s responsibility for the outbreak of World War II. «Throughout the 1930s», the ambassador commented, «Poland repeatedly blocked the creation of a coalition against Nazi Germany. Therefore, Poland can be said to be partly responsible for the catastrophe which occurred in September, 1939». The Polish foreign minister, Grzegorz Schetyna, reacted with indignation and summoned the ambassador to the foreign ministry to explain himself. «Unjust and untrue», claimed Schetyna: «These are deplorable statements, arising from a failure to understand history». But how well does the Polish foreign minister know the history of his country? It was this same Mr Schetyna who claimed that Ukrainians, not the Red Army, liberated Auschwitz, the Nazi death camp. In fact, there were Ukrainians in Poland in 1944 and 1945, but they were renegades, Nazi collaborators killing Poles. So how accurate was Ambassador Andreyev’s comment about Polish policy during the interwar years? 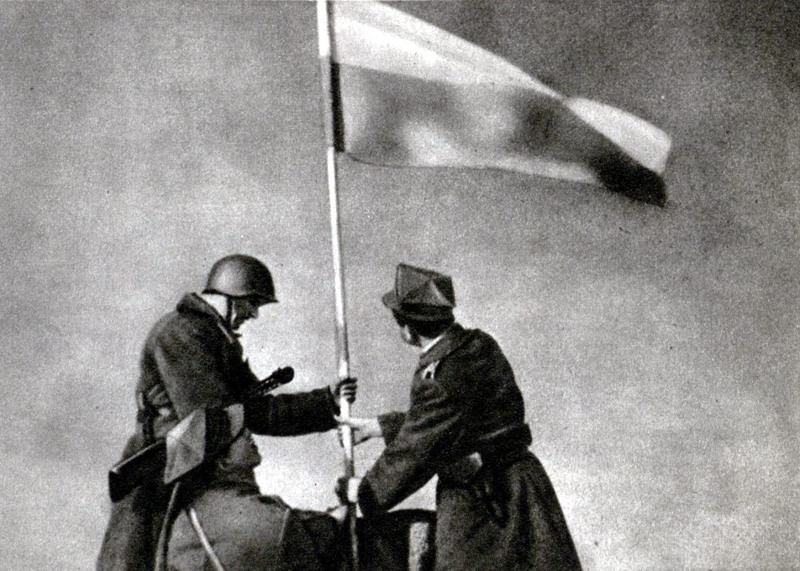 In January 1934 Poland signed a non-aggression pact with Nazi Germany, almost at the same time that the USSR began its long efforts to organise an anti-Nazi defensive alliance. It was a blow against Soviet collective security even as Maksim M. Litvinov, the Commissar for Foreign Affairs, sought to strengthen relations with Poland. Litvinov warned Polish Foreign Minister, Józef Beck, of the danger of courting Nazi Germany, but Beck would not listen. The French, who had an alliance with Poland, were not happy with the turn in Polish policy. «We will count on Russia», French foreign minister Louis Barthou said in 1934, «and not bother any more about Poland». Barthou was assassinated a short time later, and the French never followed through on dropping Poland, though Barthou might have had the courage to do it. In 1934-1935 as Commissar Litvinov sought to consolidate European collective security, Poland resisted every step of the way. The Poles were not the only saboteurs however. Pierre Laval, Barthou’s successor as foreign minister, was a dyed-in-the-wool Sovietophobe and future Nazi collaborator, who preferred better relations with Nazi Germany than collective security in cooperation with the USSR. Litvinov continued nevertheless, attempting to negotiate a collective security pact in Eastern Europe, which Foreign Minister Beck rejected, and then a mutual assistance pact with France. Laval eventually agreed but only after he had reduced the pact to an empty shell. Poland was not the only place where Sovietophobia swayed foreign policy. No novelist could have made up these astonishing stories of Polish recklessness during the 1930s. As a historian, I can assure you that nothing here is invented, as implausible as it all may seem. Read my 1939: The Alliance that Never Was or my more recent essay «Only the USSR has Clean Hands» for the details and the archival references. Russian Ambassador Andreyev said Poland bore some responsibility for the «catastrophe, which occurred in September 1939». Given the archival record, one would have to say that the Russian Ambassador was being polite and understated the case. Polish Minister Schetyna may attempt to «rewrite» history all he likes, but I can advise him that he is wasting his time. The evidence trail in the archives is too deep to hide. It is not a pretty picture, Poland in the 1930s. More introspection and less Russophobia would serve the Polish government well in these dangerous times. Minister Schetyna could start by reading the correspondence of his distant predecessor Beck as an example of how not to conduct Poland’s foreign policy. Only the British bore a greater responsibility than Poland for the failure of cooperation with the USSR against Nazi Germany in the last half of the 1930s. This lost opportunity I call the «Grand Alliance That Never Was».